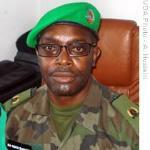 The voice of Major Barigye Ba-Huko, the African Union spokesman in Somalia, hit the airwaves yesterday evening. 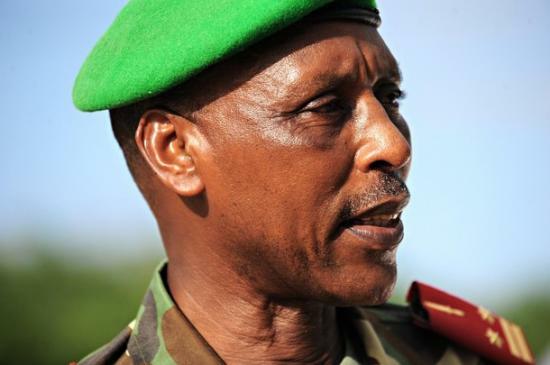 Denouncing the attempts by Al-Shabab to overthrow the Somali government along with the AU troops as a mere ‘dream,’ Major Ba-Huko challenged the Islamists fighters to be braver and take on his well-trained soldiers. On reaching the airport, the first car forcefully rammed its way through the gates and detonated its load inside the airport. Amid the chaos and confusion, the second car, which was carrying heavily armed Al-Shabab fighters, stormed the airport compound and attacked the large presence of government soldiers and Amisom troops guarding the airport. The fighters seized complete control of the airport and, in a manner similar to the Muna Hotel attack a few weeks ago, the fighters conducted a room to room search and killed dozens of troops. After a battle that took more than two hours, things appear to be slightly calmer now. The exact figure of the dead is not yet known but the radio stations are reporting that dozens of Amisom troops, government officials and civil servants were killed on the site. News is also circulating that Sheikh Sharif and Augustine P. Mahiga, the UN Special Representative to Somalia, have narrowly escaped the raid and took off shortly before the Islamists briefly took control of the airport. The entire city is in a confused state and a heavy battle has just begun in the North of the city. Dozens of Amisom tanks are moving to and fro along the airport runway, firing several rounds of ammunition towards the city. The explosion of mortars and rockets can be heard all over the city. Government troops along with the senior AU commanders, including Major Ba-Huko, are said to be holding a crisis meeting at a secret location, while hundreds of Amisom troops surround the second car which the armed fighters used. Parked in the middle of the airport, the troops, who consider the car to be rigged with explosives, are said to be not taking any chances this time! On February 2009, an Al-Shabab car-bomb exploded at an Amisom base, the former Somali National University, occupied by Burundian troops, killing more than 11 soldiers and seriously injuring up to 15 others. A few months later, on 17 September 2009, Al-Shabab carried out a devastating attack at the main base of the African Union troops in a bold attack that not only shrouded the Mogadishu skyline in black clouds of smoke but also cast a shadow of uncertainty on the future of the AU troops. Two explosive-laden Landcruisers bearing the UN logos easily penetrated to the heavily guarded Xalane compound and detonated their load a few minutes later killing more than 21 people, majority of them being senior AU delegates, Western Intelligence officials and senior government officials who were attending a closed-door conference at the base. Major General Juvenal Niyonguruza, the Burundian deputy commander of Amisom forces in Mogadishu was among the dead while General Nathan Mugisha, the mission’s Ugandan commander was seriously injured. Not long ago, on April 2010, a truck filled with explosives was detonated at a newly occupied Amisom base, the old Somali Bank, killing, according to the testimony of residents nearby, dozens of soldiers. The AU spokesman, Major Barigye Ba-Huko, denied that any of his soldiers were killed. And only a few weeks ago, two Al-shabab fighters disguised as government troops stormed the Muna Hotel , the parliamentarian’s residence, and massacred almost everyone inside. Once they killed the guards, the fighters locked the doors of the hotel behind them and conducted a room to room killing spree. It is reported that up 32 MPs and government officials were killed in the attack, but the number is thought to be significantly higher than what is reported to the press. If there is anything these attacks denote, it is Al-Shabab’s ability to easily infiltrate government-held territory and operate within that territory, with reasonable certainty of success, in order to assert their status, leaving the unmistakable trail of an Al-Shabab footprint . It also underlines the futility of the continued financial, military and logistical support that the TFG receives from the international community. Despite the millions of dollars given to the Somali government to train their troops and the never-ending training sessions of intelligence officers in countries abroad, Al-Shabab has, time and again, managed to penetrate deeply into government territory and carry out their targeted objectives. Given the timings of the attacks, it appears that the Islamists’ counter-intelligence operatives are more effective than those of the government. The AU forces currently protect the government’s vital institutions such as the port, airport and Villa Somalia – the Presidential Palace. The port is within reach of Al-Shabab’s firing range, the airport has come under a severe attack today, and it seems that Al-Shabab’s next audacious ploy would see their soldiers trading bullets with the president’s personal body guards. Correction: I have been informed that Sheikh Sharif did not actually depart shortly before the attack as mentioned in the post, rather, he escorted the UN representative to the airport and then returned safely to the Presidential Palace. This time Mr MM, I can assure you that i had just landed at the airport in the usaul AIR AFRICANA when the attack occured before i contnued to Bakara market areas where i was programed to find my companion to move south to other areas.The heading and the content of this article had been well selected long before the airport attack. This is because , what is said to have happened is what must have been intended to happen. As i was leaving the airport after the attack it was evident that in all about seven people dide including two peace keepers and five attackers because the bodies and position were fresh and clear. At least this time i had chance to witness the developments as i was a victim. No attacker went beyond 20 meters because they cars did not manage to get thru the barriers infact the second car was intact although it still had the explosives. This forced the attacker to go over the barriers where they explodes within ten meters from the gates but a distance awy from the airport. According to the direction of attack they intended to move toward a building a bit far from the airport where the President and UN and AU officials had met some hour before and this could have been due to bad timings. This mr MM is therefor to update you on the facts, and which to me do not in anyway cormform to the alarm of eminet fall but the continiouse visciouse circle i had told you about of villagers being brought from all over Somalia just to be put in the line of fire or explode for no just cause. My companion told me of the cemetries whicch are now spread all over Mogadishu of these poor exploited ignorant somalie to the advantage of a few people with seifish interests. As i leave the boom boom and the roaring of cannons behind me this evening to head for the interior where i can safely conduct some cordinationd of humanitarian assistance to the few whose lives have been spared, i would like to appeal to you again Mr MM. that instead of distributing information desighned to fuel this conflict, let us try to objectively pour water on this madness. Happy IDD and please keep cear of the would be targeted areas because i was also told that slighly befor the attack two huge plane off loaded tonnes of explosives. This confirmed the story of what could have happend to the hundreds of villagers who were collected for the Ramathan attacks. God rest there souls in peace. Thank you for this very informative blog mr Mogadishu. I am glad i found it because we are often inundated with news that the somali government is on top of things, but apparently not. I am suprised that the tfg is still standing under all these attacks.